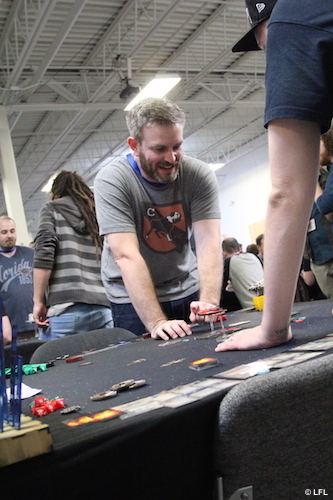 The NOVA Open is the largest tabletop gaming convention on the East Coast, built by a passionate and experienced group of gamers. Located in Northern Virginia, in the Washington D.C. metro area, NOVA brings a prestigious event to a large number of player communities. For our other games' 2017 US National Championships, read our previous article. What are the National Championships? The FFG National Championships are large, prestigious tournaments that reflect and celebrate the communities within and surrounding a nation or group of associated nations. 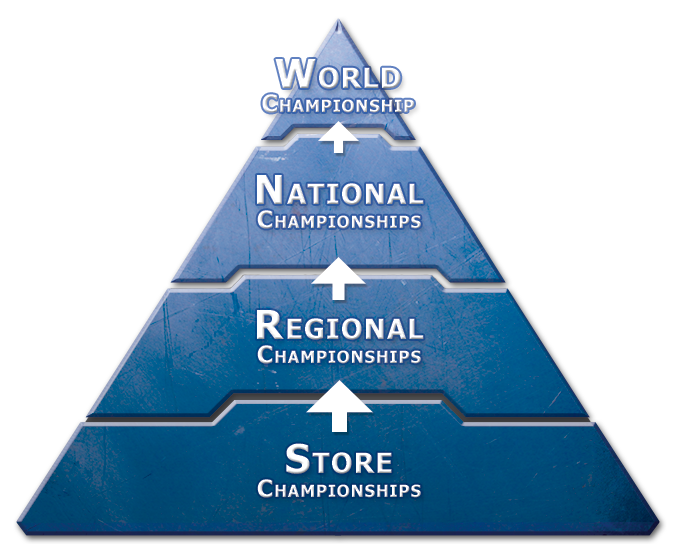 Each host welcomes interested players from around the world to compete on their highest stage, as they climb the Championship pyramid toward the World Championships. Players travel from far and wide to participate and compete for the title of National Champion. National Championships create a competitive environment for players to showcase their skill while enjoying their favorite game. These events utilize the Premier Tier, the highest level of competition. This tier focuses on supporting competitive play in a fun and fair environment and is subject to the Product Legality Policy. A Custom Tournament Structure is used at National Championship tournaments, to allow each individual event to adapt to the variety of venues, player enrollment, and community expectations around the world. 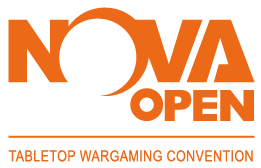 The NOVA Open will organize these tournaments to best accommodate their attendees and convention schedule. Check out the NOVA Open website for forthcoming details on their Custom Structure for the 2017 US National Championships for our competitive Star Wars games and additional side events. When are the National Championships? As part of the announcement of our 2017 OP plans last March, we stated that National Championships would no longer have a fixed scheduling window. This comes alongside the division of our games into two different World Championships, dictating divided schedules of Championships which lead up to the World Championships. For international 2017 National Championship locations, keep your eyes on the Organized Play Events page for updates as our participating international partners schedule their events, beginning in April of 2017. What Prizes Will be Offered at the National Championships? Exclusive and amazing prizes await participants at a National Championship. Each kit features alternate art cards, playmats, tokens, and more! Prizes will be awarded to those who perform well and place among the top finishers. We will preview images of these tantalizing prizes closer to the start of events in the coming months. Be sure to join our Community newsletter to be the first to know! National Championships also provide an important connection to the following World Championship. 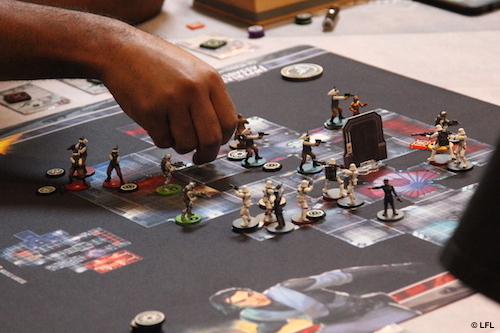 For our competitive Star Wars games, their World Championships are held in early May. The 2017 National Championships will not begin before April, so each winner will receive a first-round bye (an unpaired win for the round) and free entry into that game’s 2018 World Championship in May, 2018. For the Star Wars games’ 2017 US National Championships at the NOVA Open, FFG will award each champion with a roundtrip flight to the 2018 World Championships in May 2018, along with their bye and free entry. If a NOVA Open winner is unable to attend, this award does not pass down, and it cannot be deferred. National Championships are open to all interested participants, but some players will get a head start on their way to the top of the standings. Every Regional Championship awards a bye card to its winner, which can be redeemed by that player for a first round bye at a National Championship. Competitive Star Wars games’ Regional Championships began in November, 2016, and run through February, 2017. These events are awarding a bye card with the 2017 National Championship logo, allowing redemption at any National Championship through the end of 2017, including those at the NOVA Open. For other competitive games' Regional Championships bye card information, please read our previous article. Will you rise to the challenge and lay your claim to the title of US National Champion? Prove that you possess the skill and adaptability to outlast your foes, and you will find yourself with a flight, free entry, and bye at the 2018 World Championship in May 2018 for a competitive Star Wars game! Visit the NOVA Open website to learn more about the trials that stand between you and the coveted spoils of a National Champion August 31st through September 3rd. Keep your eye on the Organized Play webpage for prize announcements in the coming months! © and ™ Lucasfilm, Ltd.
By participating in Organized Play at the local, regional, national, or global level, you connect to a worldwide gaming community. Make new friends, face new opponents, learn new strategies, and play the games you love more often.